Bathrooms – they’re basic and straightforward. But why not make it a tad more interesting? 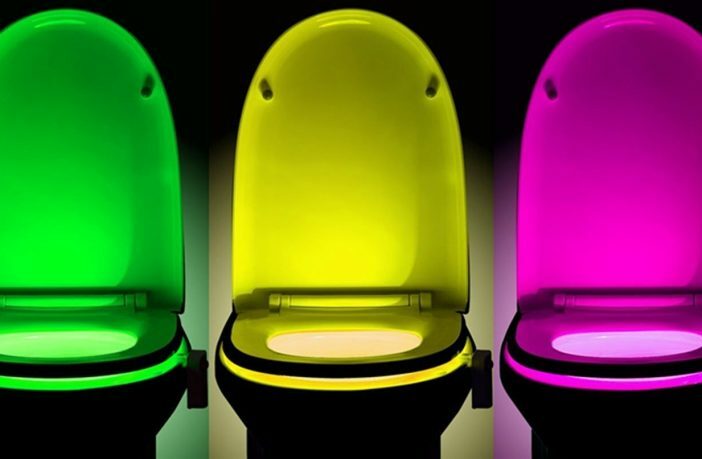 These nifty gadgets are so outrageous that your bathroom experience will never be the same again. This delightful shower head changes the water colour according to its temperature. If it is below 31 degrees expect BLUE, between 32 and 38 degrees see PINK, RED means your water is between 39 and 45 degrees, and if it is flickering RED, expect your skin to look the same. Because why not make your shower a bit more fantastic? 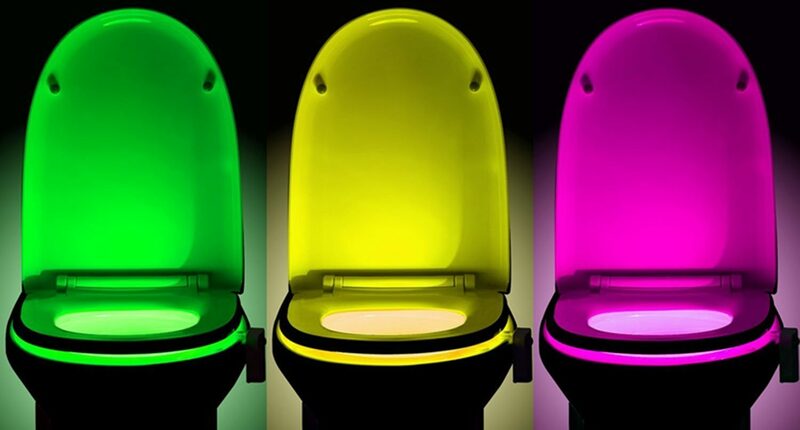 For those drunken nights when getting to the toilet becomes a mission, a glow in the dark toilet seat is exactly what you need to guide you along your way. With its safe, waterproof and smart-energy efficient light sensor, your toilet will shine a light any time someone is near. Now you can squeeze the most out of your toothpaste and save those much-needed pennies. This invention solves humanity’s oral dilemma – your bathroom won’t be the same without it. This super-convenient stand holds your hair dryer allowing your hair to dry, hands-free. The hairdryer nestles securely in a foam-padded clamp on top of a flexible neck that can be adjusted to any angle from its tabletop base. Prop it anywhere in your bathroom. Because your hands were made for better things. Why risk your phone getting water damaged? And can you actually hear the music in the shower? This waterproof Bluetooth speaker solves all of those problems with its suction ability. Stick it right on the wall of your shower and get grooving to the music. Getting out of a warm shower during winter can be somewhat of a mental test. Why risk the meltdown? Get a bathroom heater because you love your sanity. Are you ready to pimp your bathroom?